BARCELONA, Spain & SAN FRANCISCO–(BUSINESS WIRE)–MOBILE WORLD CONGRESS – Visa Inc. (NYSE:V) today announced it was making the Visa Token Service available to auto manufacturers, helping to pave the way for easy and secure car-based commerce. To further advance car-based commerce, Visa is also offering a range of related digital payment solutions, including new standards for Bluetooth (BLE) and QR codes that could help expand enablement of mobile payments for both merchants and consumers in any environment. As payments shift from plastic to digital, technologies built with Visa Token Service, provide an ecosystem of payment partners – from auto manufacturers to point of sale (POS) providers and beyond – a streamlined way to offer commerce and payments anywhere there is an Internet connection. 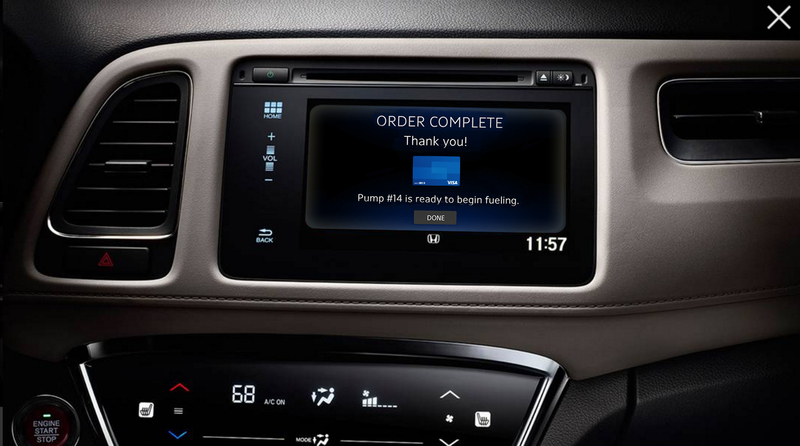 Visa demonstrated car-based commerce as an industry-first at Mobile World Congress 2015, when it showcased how in-car payments could simplify ordering food at a quick service restaurant. Over the last year, Visa has continued to test and evolve in-car payments, including showing how to simplify the process of leasing or buying a car, or even managing services like auto insurance or road tolls, directly from the driver’s seat. Headquartered in Chicago, ParkWhiz is the nation’s largest on-demand parking app. The company’s website and mobile platforms provide a fast and efficient way for drivers to find and book guaranteed parking spaces before reaching their destination at thousands of parking locations across the country, from New York City to Chicago to San Francisco. ParkWhiz is an official partner and parking provider for Ford, Concur, and StubHub among many others. ParkWhiz has helped well over a million drivers seamlessly get where they need to be. For more information, visit ParkWhiz.com.